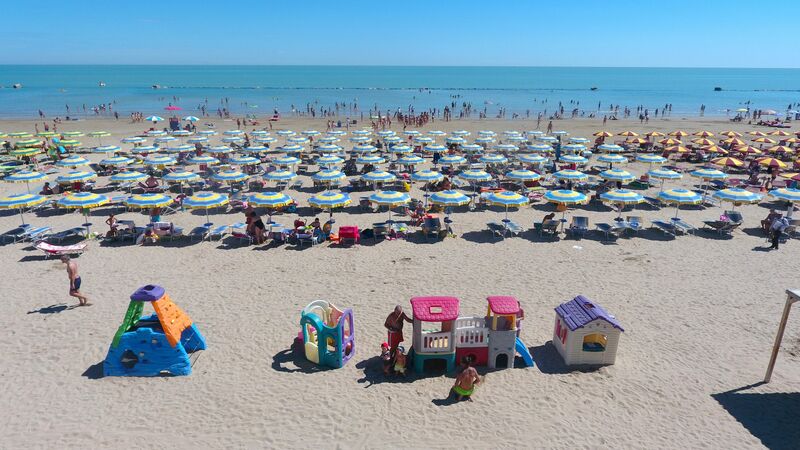 Camping Metauro, located in a large green area, overlooks the coast of Fano, characterized by fine golden sand and shallow shores that allow children to have fun in the water in complete safety. The beach, reachable in a few minutes, is divided into a part equipped with sunbeds and umbrellas, and a free part. 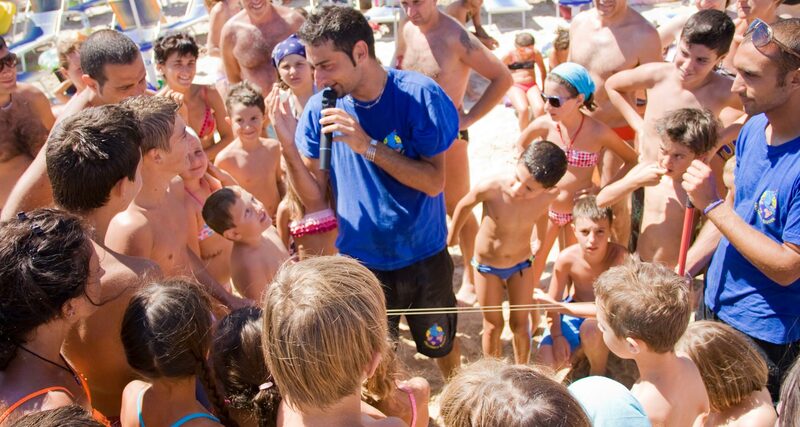 Sea, sun and lots of fun await you at the beach of the Metauro campsite. A long and golden expanse of fine sand will be at your disposal for the whole summer. 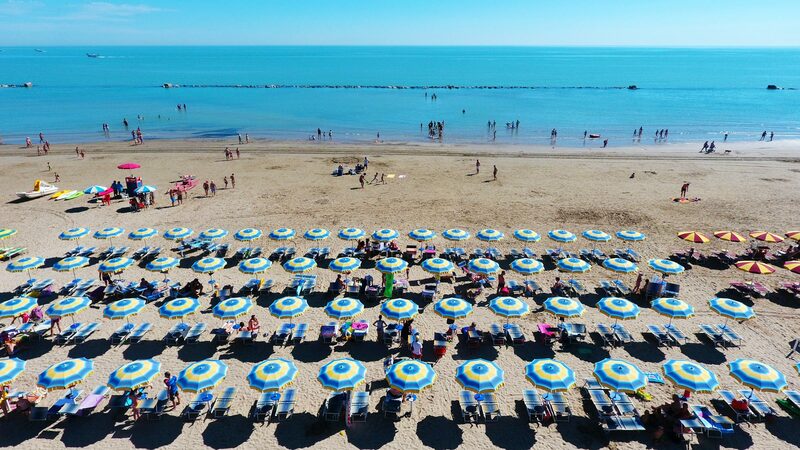 The Metauro campsite offers its guests 2 beaches: one free and one equipped with umbrellas, sunbeds, bars and showers with hot water. Only guests staying in bungalows and apartments will have free access to the equipped beach and 1 umbrella with 2 free sunbeds. Many activities offered by our animation staff: from 10 to 12 the animators organize courses in water aerobics, muscle toning, group dances, treasure hunts, drink games and much more to entertain the adults but especially the little ones.